If that gold dome is amazing (especially against dark, cloudy skies, wait till you get inside and see the ceiling with its stained glass design. 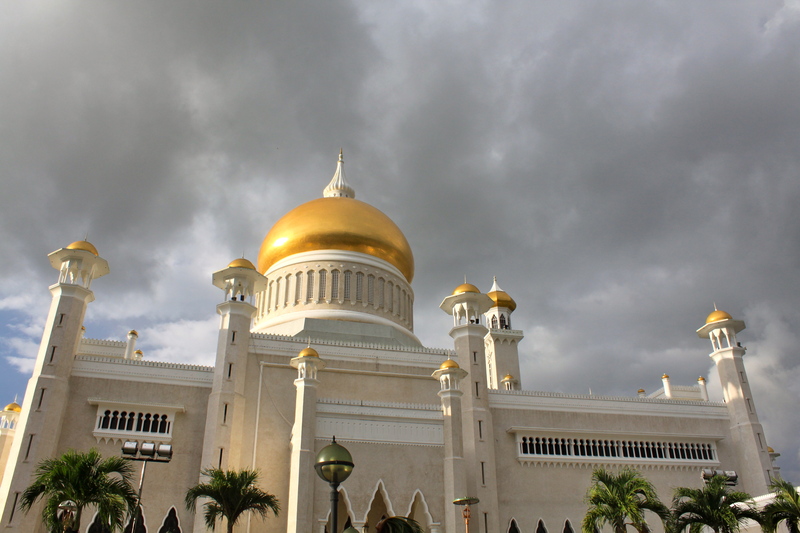 Sultan Omar Ali Saifuddin Mosque in Brunei’s capital, Bandar Seri Begawan, was built in 1958. It features a golden dome and an interior of Italian marble walls, carpeting and an elevator. It also has tunnels, which are used by the Sultan on journeys through the town.